Abuse of prescription pills is taking over college campuses along with the rest of the United States. Drug overdoses are taking more lives than car accidents. Consumption of stimulants increased from 5 million to 45 million with one person dying every 19 minutes from a drug overdose. Opioids are being overly abused by college students including Vicodin, OxyContin and Percocet. Learn more about the epidemic of prescription pill use on college campuses. Prescription drug abuse is a national issue. All over the United States, deaths from accidental overdoses of painkillers now outnumber overdoses from heroin and cocaine. The misconception among college students being prescription drugs are safer than other types of drugs. The large risks associated with misuse of prescription drugs affect decisions of personal responsibility when it comes to using drugs. College students are under pressure and immense amounts of stress to perform in school. As finals week approaches, students will look to take whatever possible to help pass classes, stay up late to study and do what is necessary to make the grade. Turning to prescription drugs such as Adderall and Ritalin is not going to solve problems, it may make the problems worse. The war on drugs is shifting from street corners to pharmacy counters. Prescription drug abuse is impacting young lives at a higher rate with 50 percent of college students being offered a prescription drug for nonmedical purposes by sophomore (second) year of college. 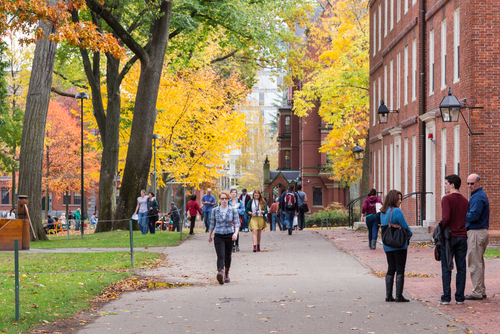 Prescription painkillers and opioids are being misused by college students more prevalently among highly selective urban colleges in the Northeast. College students are ignoring inherent risks to using prescription painkillers. Students joke about using drugs without understanding the consequences of drug misuse. When used as directed by a medical doctor, the drugs can be beneficial but the result of prescription drug abuse can bring heartbreak and tragedy. The result of ignoring risks of using prescription painkillers can be physical, emotional and financial tolls which are taken out on individual students as well as family members. Everyone in society, as a result, suffers the loss of young lives who go down the destructive path of addiction. Drug abuse prevention programs are helpful in their aim to get students to understand the ramifications of taking prescription drugs but it is also important to recognize addiction is a very real possibility that may take professional intervention to successfully treat. Being informed of the signs, risks and consequences is the first place to start to help a loved one who may be struggling with prescription pain medication dependence or addiction. Hired Power helps empower college students and others who struggle with prescription painkiller addiction. Call us to find out how we can support your recovery goals.